(February 15, 2017, Dubai) The world’s leading drone company EHang and the Dubai Roads and Transport Authority (RTA) announced a partnership at the fifth World Government Summit to jointly promote and introduce the EHang 184 autonomous aerial vehicle into Dubai, the city with the aim to build the world's most intelligent transportation system. 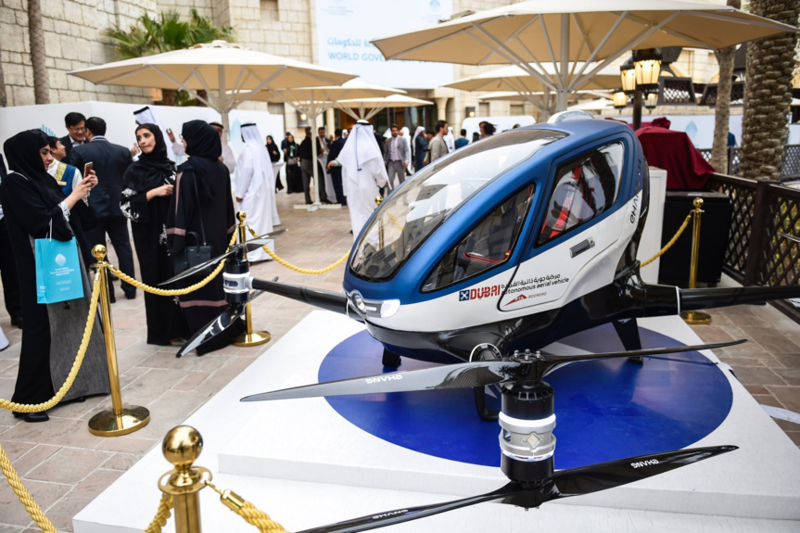 At the summit, Mattar Al Tayer, the General Manager and Chairman of the Board of Directors of the Dubai Roads and Transport Authority, spoke highly of EHang 184 and said that RTA has already experimented the vehicle in a flight in Dubai sky at the test site of the Dubai Civil Aviation Authority (DCAA). 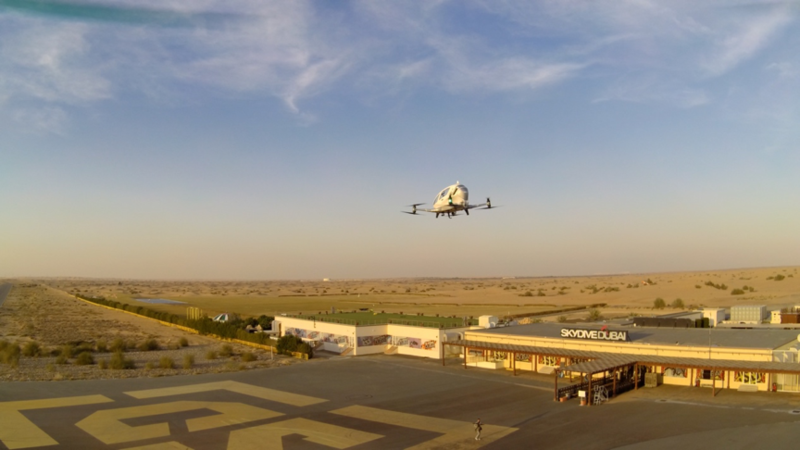 Test flights have been carried out especially at deserts and coastal environments to complete a number of adaptive aviation flight test subjects. During the trials, DCAA has made supportive contribution in defining the safety criteria required, issuing the permits for trial and inspecting the vehicle.